There may be days where you need to leave your preschooler or even baby to a day care service provider. 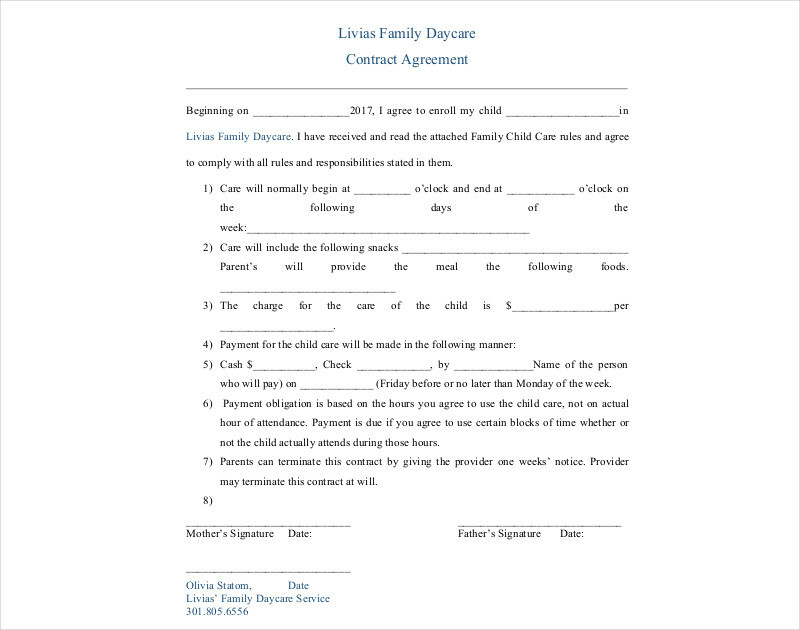 There are different reasons why this transaction is necessary which includes work commitments and other responsibilities that are essential to be done away from the child. 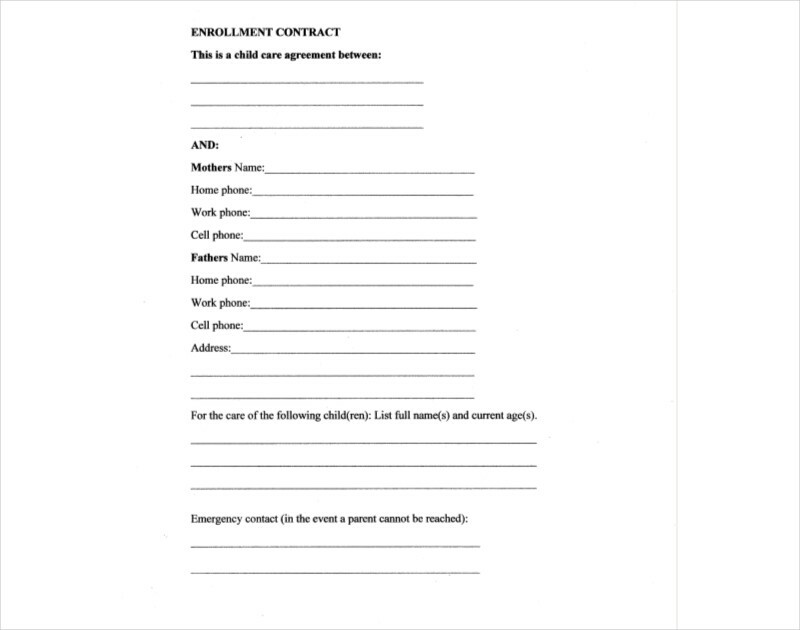 Since the safety and security of the child must be highly considered, a daycare contract must be put into writing. 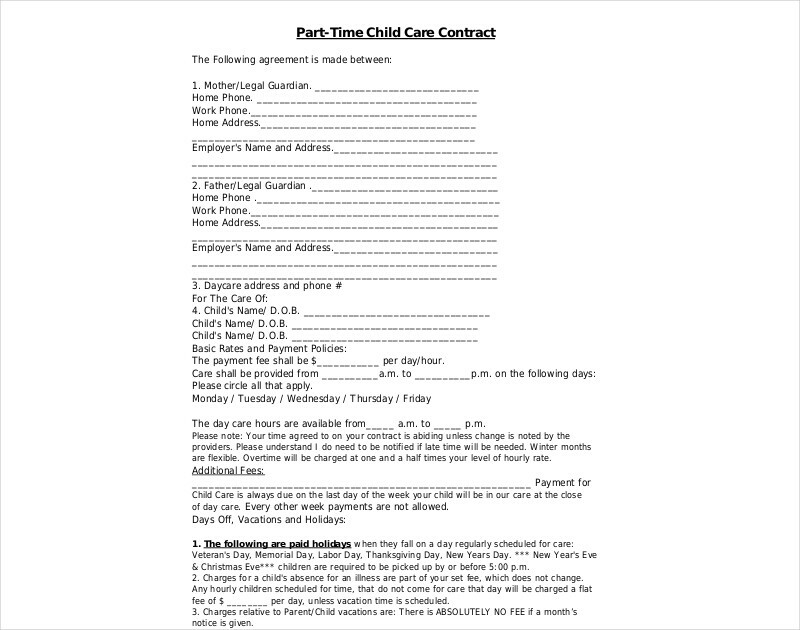 Just like when making a cleaning contract and a catering contract developing a daycare contract can be faster and easier if you will use references. 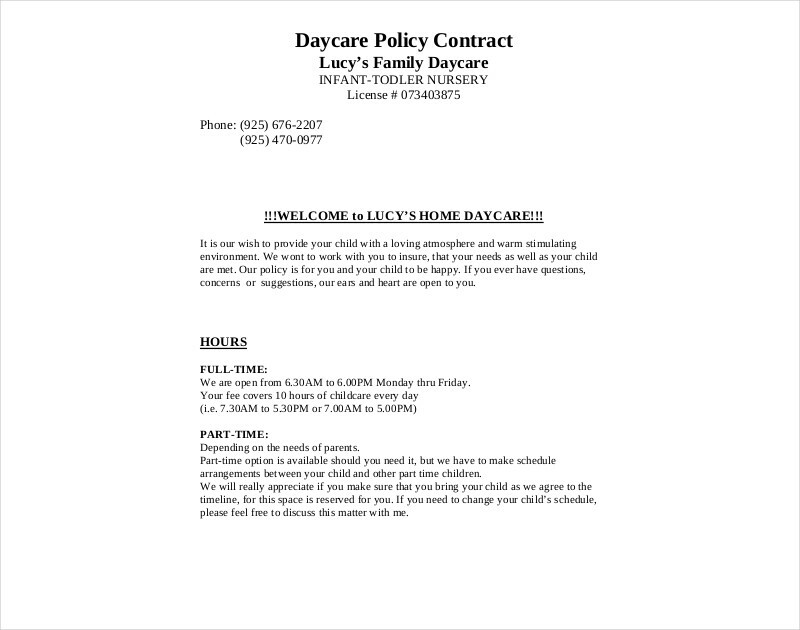 Download the examples in this post so you can have document guides when developing your own daycare contract. 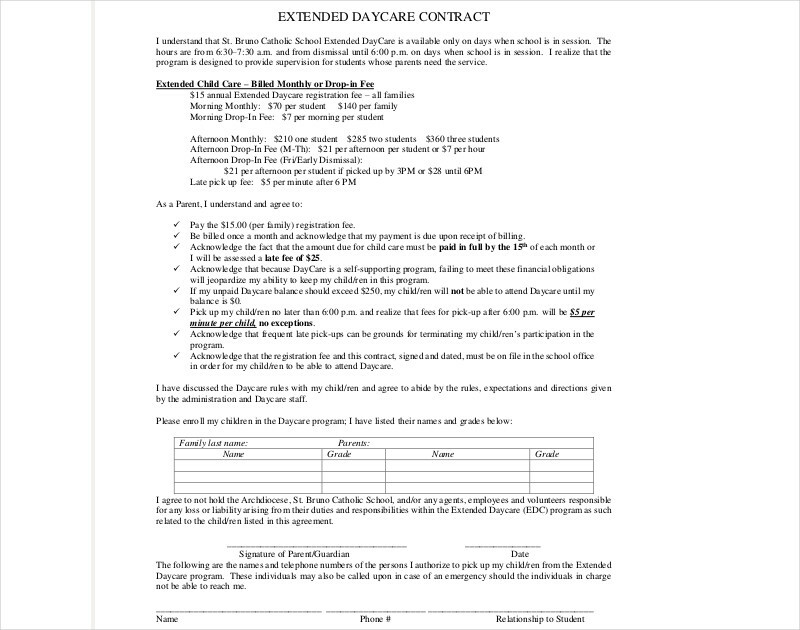 What Should a Daycare Contract Include? 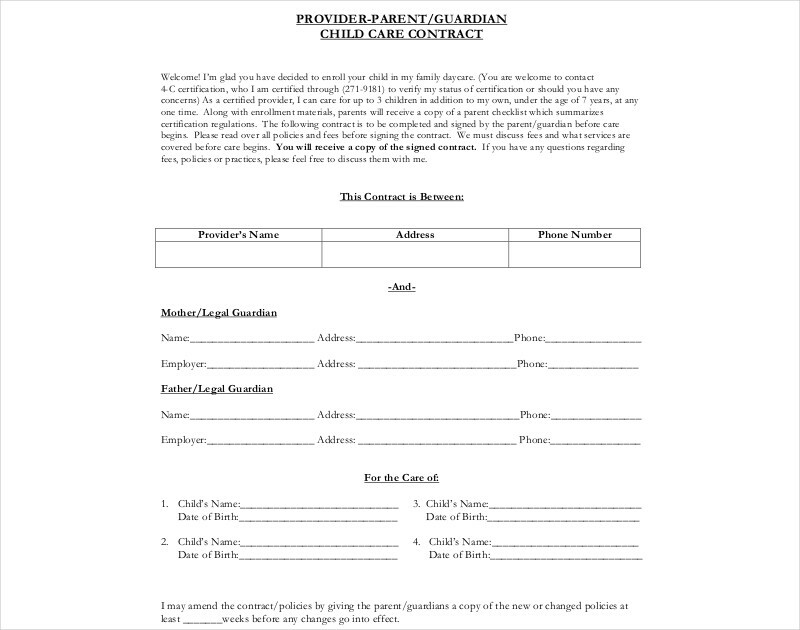 The amount that must be paid by the parents or the guardians of the child to the nanny or the daycare service provider. 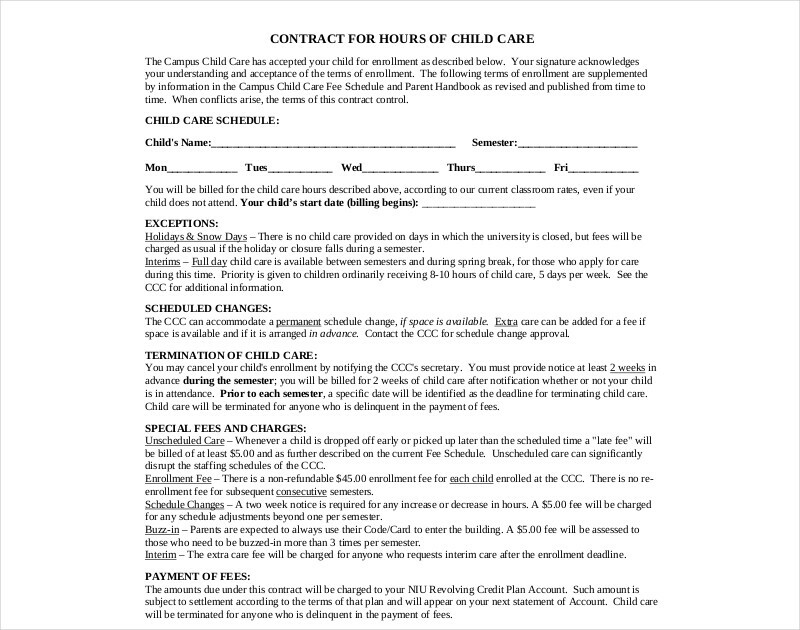 You may also see child care contract. The policy and other regulations that should be followed both by the parents and the professional daycare service provider. Other relevant information that is important to be discussed including termination guidelines and procedures, specification of any allergies or illnesses that the child has and the responsibilities of the daycare service provider. Be specific when listing the expected deliverable of the daycare service provider. Make the document easy to understand and organized so that all call to actions and other responsibilities can be understood. 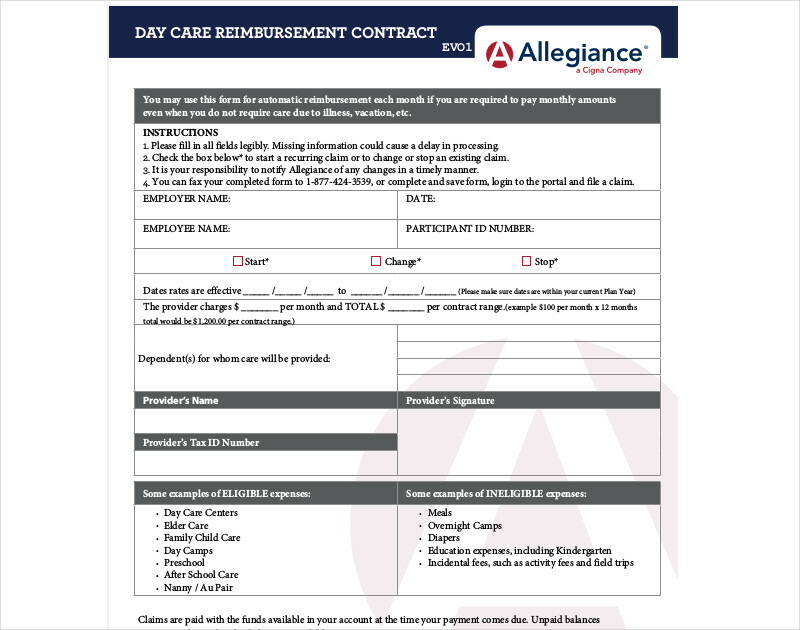 Use downloadable contract examples and templates to help you come up with an impressive daycare contract. 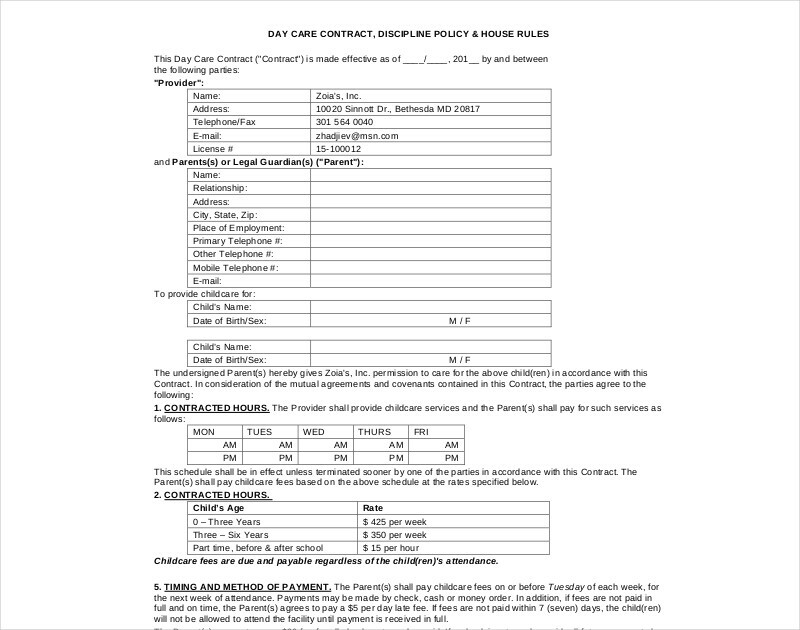 Remember the items in this discussion and ensure that you will implement them accordingly if you are already in the process of starting the creation of a daycare contract.